Devanet belts offer a suitable range or personalised belts for company freebies and business gifts to both your employees and clients. Ideal to gain some valuable exposure - hand out a batch of Custom Logo Branded Belts to advertise your Company and enhance your 'corporate look'. Excellent as a business gift to employees and clients..
Order a batch of Custom Logo Branded Belts and increase your profit margins today!! 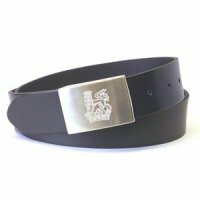 For a FREE QUOTE, please fill in the form regarding our Custom Logo Branded Belts and we'll be able to help you.